LinkedIn for China will be censored: A Chinese language site in Simplified Chinese. The Simplified Chinese version of Linkedin, 领英, is in beta testing right now. When you think about the Internet in China, free and open discourse probably isn’t the first thing that comes to mind. Now, LinkedIn is confronting the Chinese government’s censorship regulations while the company works to roll out the Simplified Chinese language version of LinkedIn “领英,” which is currently in beta. What’s there to censor on LinkedIn? Apparently a bunch of things. 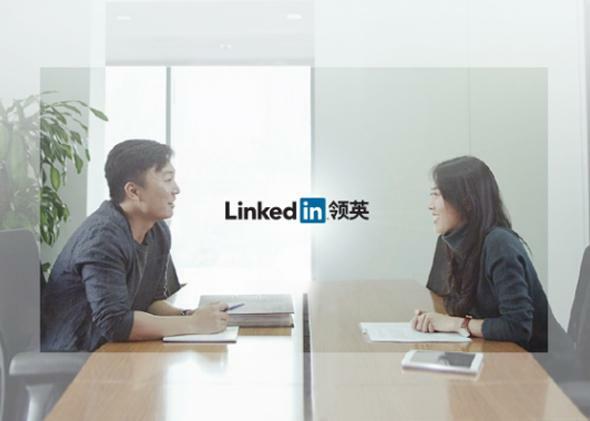 We know many professionals in China and other parts of the world prefer to communicate in their native language, particularly in a business context, and so we are excited to introduce a beta version of LinkedIn in Simplified Chinese. This will make our services localized to more members in China, so they too can leverage LinkedIn to further enhance their economic circumstances. Dealing with government censorship and regulation on a site that’s supposed to be about user-generated content and communication sounds daunting. LinkedIn’s CEO, Jeff Weiner, wrote in a blog post that LinkedIn China will use three guiding principles to handle the situation. First, the company will implement government restrictions, but only to meet minimum requirements. Second, LinkedIn China promises to be transparent and to notify users about their practices. Third, the company will take “extensive measures” to protect user data and rights to the extent that it can. LinkedIn strongly supports freedom of expression and fundamentally disagrees with government censorship. At the same time, we also believe that LinkedIn’s absence in China would deny Chinese professionals a means to connect with others on our global platform, thereby limiting the ability of individual Chinese citizens to pursue and realize the economic opportunities, dreams and rights most important to them. It’s a laudable humanitarian mission to bring LinkedIn to China! Or, as TechCrunch points out, LinkedIn’s growth is slowing and it’s trying to add to its 277 million users. LinkedIn China will try to bring the country’s 140 million professionals into the fold. It’s worth noting that even before the Simplified Chinese site, LinkedIn was one of the only U.S.-based social networks that the Chinese government allowed access to in China. Twitter, Facebook, and Foursquare are all blocked, among others. It seems that LinkedIn was blocked for a day in February 2011, though there was never an official government statement about it, because the government was concerned that information about pro-democracy protests were spreading too quickly, inspired by action contributing to the Arab Spring. But the site was back the next day. Get ready, LinkedIn China, this is about to be your life.